This blog has not been generating a lot of comments lately and I’m certain this new post will do nothing to change that. That’s ok because I have my hands full trying to put together all of the Ikea madness that hit our home recently. 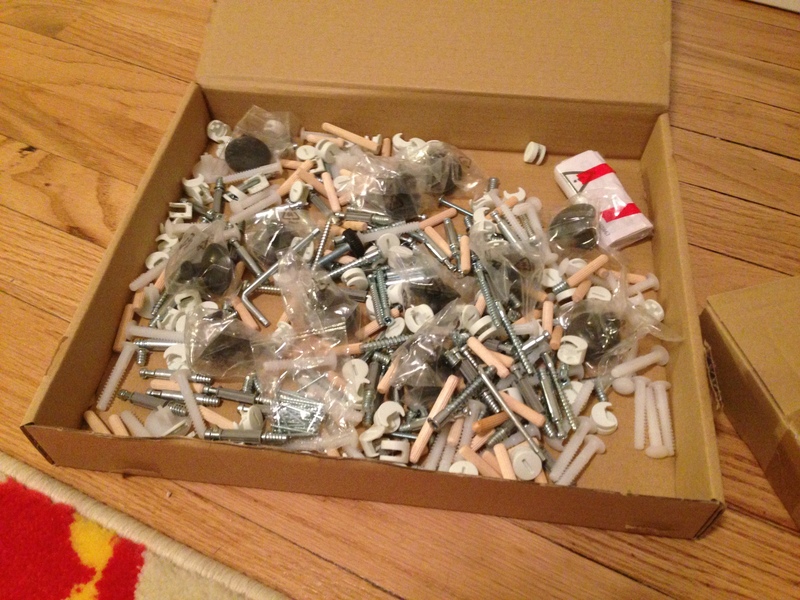 I can barely feel my fingertips due to all of the twisting of the little screws and the particular pain that Ikea exacts. Here’s what I started to tackle last night. This lovely thing comes with a million and one boards, even more connecting parts and 56 steps. I decided these needed to be organized a bit. At 9:15, I threw in the towel and acknowledged I had lost the round. 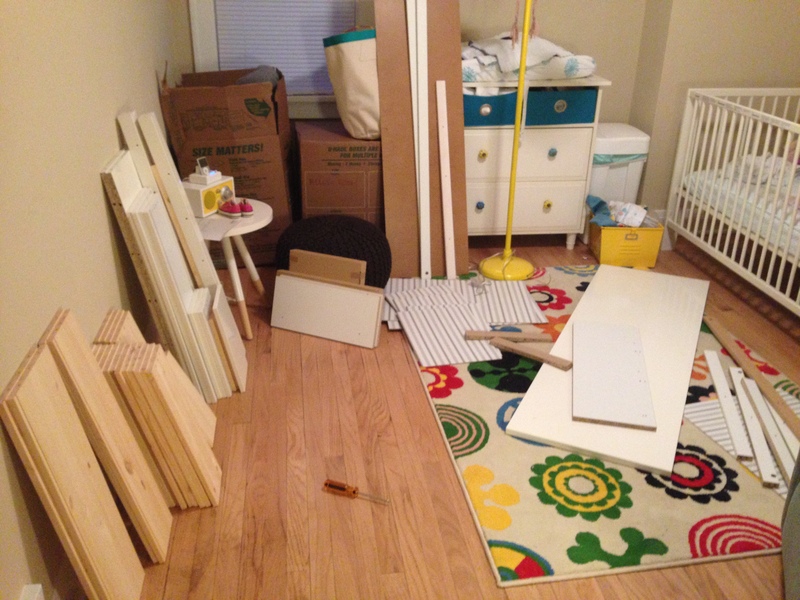 I’ll be back again tonight and am determined that the dresser will look as the god of Ikea intended. I’m sure you could pay someone to put it together, but I don’t know who. Also, we’re bleeding money these days so back to the screwdriver we go! 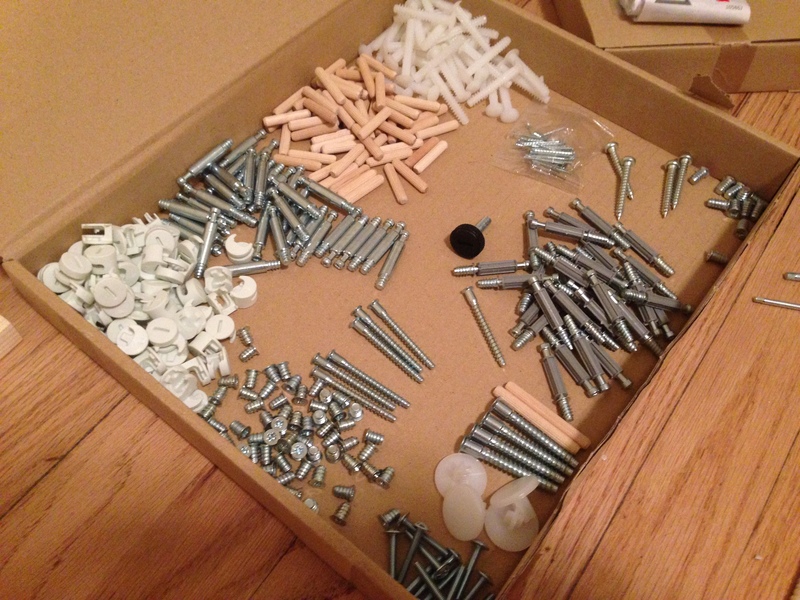 That’s the first thing I do…organize all the parts! Love the before and after! Tedious task, but makes it tons easier putting it together. Last night, I was wondering if others do this, too. Now I know they do! I love putting stuff together. My latest was a mission style desk from L.L.Bean. At step 17they recommended a second pair of hands. Grrrrr I was damned if I was going to ask for help at that point. Many swear words later I had it put together. Yeah, we ignore those “two sets of hands” instructions, too. For the most part. I admit I had to call in AO a time or two – though usually it was more to help decipher the Swedish hieroglyphics (as he calls them).